30th of June in 2015 Apple has introduced iOS 8.4 mobile operating system for iPhone, iPad and iPod touch with much more new features. After few days of releasing, TaiG has successfully jailbroken iOS 8.4 and below firmware like iOS 8.3, iOS 8.2 , iOS 8.1.3. TaiG v2.4.3 which was released to jailbreak iOS 8.4 on windows and TaiG v1.1.0 was released for mac. However, we know that all cydia lovers always expect new cydia tweaks with jailbreak. So now we are going to introduce brand new 20 jailbreak tweaks which are recently released for iOS 8.4. As you can see that some tweaks are free and few of them are paid. There’s lots of really good and latest iOS 8.4 jailbreak tweaks released with iOS 8.4 jailbreak. Here are a few jailbreak tweaks’ descriptions which have chosen in the big cydia tweaks list. Browsix – Browsix likes a mini web browser that let to search anywhere as your choice. If you need to move the browser, they you can move it around the screen. You can resize it and open it when you tapping on external links in other applications. Browsix comprises to priced tweaks category. But it does not expensive than the $2.99. Browsix is working generally well and it came out with lots of features, options and settings to configure. HideBadgeText – The tweak removes text from home screen badges and only a red dot will be shown on your device home screen. No any options to configurations. Floater – This tweak seem like the notification center UI and control center. There are some options available for app icons and other UI elements. The icon will provide you with a cell-shaded look without WinterBoard. SongCount – Compatible for iOS 8.4. SongCount displays the total amount of all of your favorite songs at the bottom of the My Music tap in the iOS 8.4 music app. The tweak did not tested on iPads. No any options to configure. FastCenters – Actually FastCenters is a simple tweak that removes dismiss sliding animation for Control Centers and Notification Centers. Changelog v1.1-1 : Fixed bounce error of NC for iOS 8.1.X and below. Update v1.1 : Included “No CC Slide Up” option to remove slide up animations of Control Centers. Behind the TaiG iOS 8.4 jailbreak tool, PP jailbreak has released the new tool to jailbreak iOS 8.4 on Mac OS. PP jailbreak is only for mac users and windows users can use TaiG jailbreak v2.4.3. PP jailbreak is compatible with all iPhone, iPad and iPod touch running on iOS 8.4. In nearly day Apple has presented the new 6 generation iPod touch for their fans. The final major mobile operating system of iOS 8.4 is running on the new iPod touch 6. Therefore users can jailbreak iOS 8.4 iPod touch 6 to install cydia. Now we guide you to jailbreak iOS 8.4 iPod touch 6 on Mac OS using PP jailbreak. Follow us. Please take backup of your all important data using iTunes or iCloud. Unfortunately if you faced on data losing then you can use backup to restore your iPod touch 6. You must turn off Find my iPhone feature. Enter to the Settings app and navigate to the iClmenu. Then you can see the Find my iPhone bar. You have to do disable that mode. Check the iPod touch 6 battery before run the process. Then you can prevent battery drain while the process. Don’t forget to turn off Passcode or Touch ID feature with Settings app. Enter to the General menu in the settings app, then you can turn off that mode. iTunes or XCode must be disable beforehand, because if you enable it, then PP process will not work properly. Go to the PP jailbreak official web site to download PP jailbreak new version correctly. Then take out your iPod touch 6 in the pocket and connect it to the Mac using proper USB data transfer cable. Open the PP jailbreak downloaded file within double click and let to identify your iPod touch 6 itself. Now you can see the jailbreak window. You have to do deselect “Install PP Helper” given in the bottom of the window. Don’t forget to click “Jailbreak” button at the center of the window to continue the process. PP jailbreak will release the “Jailbreak Succeeded” message and then device will begin to reboot automatically. Behind the reboot users can see the icon of cydia if you follow our guidelines correctly. ATTENTION : You can turn on Find my iPhone and Passcode lock feature at the end of the process. 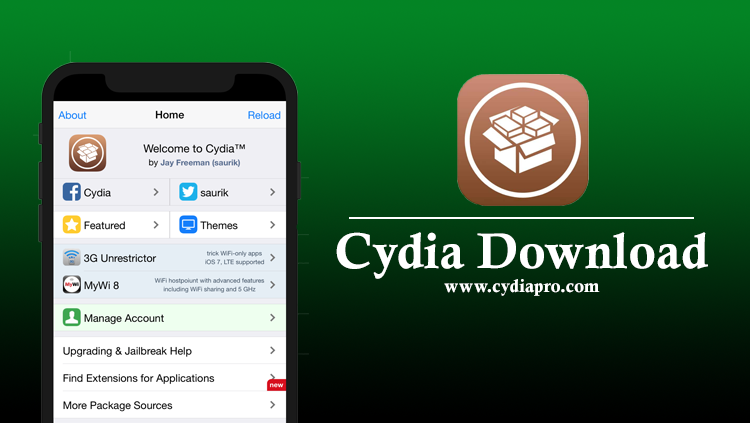 PP jailbreak tool has announced to download for Cydia download on iPhone, iPad and iPod touch running on iOS 8.4 using Mac OS X. The process is simple. No need to waste more times to jailbreak your idevice. PP jailbreak tool is compatible iPhone 6, iPhone 6 plus, iPhone 5, iPhone 5c, iPhone 5s, iPhone 4s, iPad 4, iPad 3, iPad air 1, iPad air 2, iPad 2, iPad mini with retina, iPad mini 2, iPad mini 3, iPod touch 5 and iPod touch 5. We hope to guide that how to jailbreak iPhone 6 on Mac OS using PP jailbreak. Users can download PP jailbreak tool from the PP jailbreak official web page. PP jailbreak tool always recommended only for mac users. TaiG v2.4.3 jailbreak tool is currently available to download for windows users. Before start the process you must prepare your iPhone 6 as below instructions. Using iTunes or iCloud take full backup of your all personal details. Unfortunately when something goes wrong and if loss data, you can use backup to restore your iPhone 6 as previously. Go to settings app in the iPhone 6 and enter to the General menu to disable Passcode or Touch ID feature. Find my iPhone is the other feature which is need to be disable while the process. Go to settings and click iCloud and then you can change its’ states. Charge your iPhone 6’s battery, because charged battery will prevent battery drains before the whole process. XCode or iTunes need to be close before the process, because if you evade to close those then PP jailbreak will not work properly. Download PP jailbreak latest tool on your mac and take your iPhone 6, connect it to the computer using USB data cable. Double click on the downloaded file to open it. PP jailbreak will recognize your iPhone 6, so let to do it itself. After that you can see the jailbreak window. If you observe our guidelines correctly, then you can see the “jailbreak Succeeded” message at the end of the process with cydia icon. NOTE – Don’t use your iPhone 6 while the process going on your device, because it will be the main reason to process stuck. How to Jailbreak iPad 3 running on iOS 8.4? If you use iPad 3 with iOS 8.4 software update, then now you can jailbreak it and install cydia. The Chinese hacker team of TaiG already released iOS 8.4 jailbreak tool of TaiG v2.2. It is compatible all iPhone and iPod touch, not only iPad. iPhone 6, iPhone 6 plus, iPad 4, iPad 3, iPhone 5, iPhone 5s, iPad 2, iPhone 5c, iPhone 4s, iPad mini, iPad Air, iPad mini 2, iPad mini 3, iPad Air 2 and 5th generation iPod touch. TaiG v2.2 jailbreak is currently available to download for Windows and it is currently unavailable to download for Mac. Few beta versions back Apple has launch the final major version iOS 8.4 on June 30 in 2015 with number of improvements features especially Apple music app. I think that within short time iOS 8.4 could be jailbreak for cydia. As previous reports TaiG working for both iOS 8.3 and iOS 8.4 jailbreak. In same time TaiG could release iOS 8.3 and iOS 8.4 jailbreak tools. Few days earlier of iOS 8.4 jailbreak release, they successfully launched out iOS 8.3 jailbreak tool of TaiG v2.1.3 with fixed number of errors and many features, benefits etc. All TaiG jailbreak tools untethered. Because of that, the tool is trustworthy and famous day by day among the cydia users. Especially TaiG jailbreak will jailbreak all imodles like iPhone, iPad and iPod touch running on iOS 8.2, iOS 8.3, iOS 8.1.4 and also iOS 8.1.3. Keep in mind that the TaiG jailbreak is work only on windows, because the tool is completely windows based. So do not try to run it on mac. They can use the virtual machine to run the TaiG jailbreak tool. If you afraid to use the tools of TaiG that it will be damage your device system, then we like to say you TaiG is completely secure jailbreak tool. More than millions of users using that tool and they confirmed TaiG is actually unthread tool. No any malware or spyware risk. TaiG jailbreak process is very simple. Therefore without big knowledge to handle the tool you can jailbreak your idevice easily. Turn off both Find my iPhone, Passcode or Touch ID, and all anti virus programs and especially don’t forget to do full device backup before start the process. Download TaiG v2.2 jailbreak tool. Make connection between computer and idevice using the USB data transfer cable. Launch the TaiG on your computer and let to detect your device itself. Uncheck 3k Assitant option which pasted below Cydia 1.1.18 checkbox and tap on the green button called “Start” to continue the process. Your device will start to reboot at once after filling the progress bar and taig will inform you that “Jailbreak succeeded” with a message. You can see the icon of cydia on your device home screen at the end of the whole process. As rumours nowadays Apple is working hard for iOS 9 launching. Two beta versions of iOS 9 are already announced by Apple. Hopefully, iOS 9 download so soon and also jailbreak. The first iOS 8.4 jailbreak news released via internet. iOn1c published video showing iOS 8.4 beta 1 jailbroken on iPhone 6 plus. Stefan Esser is the hacker and security researcher, who is commonly known as iOn1c in the jailbreak community has firstly tagged a video proof that iOS 8.4 beta 1 jailbreak preview 1 for all cydia lovers and fans. The whole jailbreak process demo running on iPhone 6 plus powered with iOS 8.4 beta 1. TheCouple of week back of release iOS 8.4 beta 1, Apple has released iOS 8.4 beta 2 for all iPhone, iPad and iPod touch. All registered developers in Apple Developer program can download iOS 8.4 beta 1 and beta 2 otherwise through OTA also can update the latest iOS beta version. iOS 8.3 and iOS 8.2 also successfully rolled out by Apple in nearly day. We are expected iOS 8.2 jailbreak tool will find by TaiG, because TaiG was the first jailbreak team who is released first jailbreak news about iOS 8.2 jailbreak. But still they could not possible to jailbreak iOS 8.2. After iOS 8.4 beta 1, second beta of iOS 8.4 has released with revamped music app. Including mini player and many more newest features introduced with improved Music app. According to Apple security report we seem that they try to patched up all jailbroken bugs in previous versions. I think that their effort is succeeded, because I said that, iOS 8.2 non-jailbreak, iOS 8.3 non- jailbreak yet. I will keep you posted with updates. Apple has fixed the MobileStorageMount in iOS 8.2, and in iOS 8.3 Apple has fixed total of 39 security flaws which are jailbroken by TaiG team. Therefore I think that previous TaiG, Pangu, evasi0n or PP jailbreak tool not suitable for iOS 8.2 jailbreak and iOS 8.3 jailbreak. We will back with iOS 8.4 jailbreak official news.